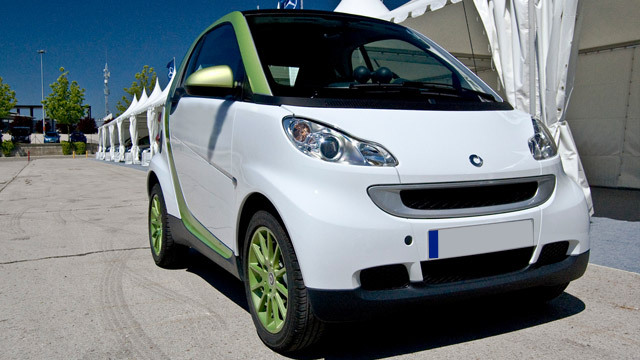 Just by looking at your Smart Car it is obvious that you are driving a truly unique vehicle that not many shops will have experience working on. Smart Car’s demand smart repairs. Don’t take your vehicle to any other shop in the area, because we here at The Car Place know exactly what Smart Car services your vehicle needs most. Located in Raleigh, NC, The Car Place is the best place for Smart Car repair and maintenance services. If you want to keep your vehicle in peak driving condition, it is important to stay ahead of your vehicles maintenance schedule. Because of the unique and intricate designs of the Smart Car, this rings extra true. Bringing your Smart vehicle in for a check-up and regular maintenance service check today could easily save you a headache (and possibly hundreds of dollars) tomorrow. So let our seasoned and experienced ASE certified mechanics take a look at your vehicle today! We use dealer-level equipment and service techniques to make sure your Smart Car repairs are handled exactly the way you want them and are designed to get you back on the road as quickly and as safely as possible. You can count on The Car Place to fully restore confidence in your hybrid vehicle, knowing it was serviced with your needs in mind!